A Bass Station 2 synth engine, coupled with Circuit's sequencing power and performance capabilities, alongside Novation's ongoing commitment to firmware improvement and innovation, all in one handy box... what more could you wish for? Sounds great, and pretty straightforward to use. It's great to have most of the controls in the open. Fantastic little beast. All analogue, and all gritty for great bass aand lead sounds. Makes for a great addition to my studio. When I first saw this item on Youtube videos, I thought this would be a 5 minute wonder and dust collector. After watching many video reviews, I saw that this could actually be useful and took the plunge. What an incredibly versatile instrument. Seriously spruces up my projects and ticks all the boxes for looks, playability, and inspiration. With no set way to rig this thing up, my only barrier is my imagination. I can use it at the centre of my operations or to diversify another instrument. Go and check it out in a store and see for yourself. Novation rocks! It's just been few hours since I've got it. This is the first analog synthesizer I've got so I don't have much to compare. But so far it's really fun and configurable in so many ways. Besides 4x6 mod matrix and mod sequencer, the freedom to set parameters by step is just incredible. Great sequencing capabilities, good sound, really hands-on machine. A versatile little machine, and fun to play with. I have a Bass station 2, four Novation Circuits and this is my second Mono Station, if I won I want to by a Peak. I got this with 50%off coupon... It is impossible to get such a nice sound and nice machine as this price. I am really enjoying the "tweaking" the sound. The position as a standalone synth, this is so outstanding, unique and fun. Thank you! Una macchina incredibile! Ha dato nuova vita al mio setup!!! Intuitiva e potente! Sounds great and the workflow just clicks for me. Within 24 hours of getting it, I'd already finished two tracks on which I used it extensively. Fun and inspiring. I only had this for a couple of days but I'm already addicted! Fun and easy to play, very happy with my purchase! The most underated piece of gear on the market. The 50% april discount was a thief, thank you so much for it. Had the deal of my life. Great Gear !!! Already a happy owner of a Circuit classic, this one is really good for adding up analog sounds to my tracks. There is no AA batteries powering so it could be frustrating for mobile people. This is not an issue for me. However the lack of speaker is my main concern since I planned to link this device with my other Circuit to get more sounds (since this one does integrates drums parts). So I remove a star for this issue that makes me plug a mixer and speakers to use both products together. Overall, I'm happy with the product but the Circuit classic is much more versatile to my uses. Awesome synth! Very simple and funny to play! Rich of features, but still simple to use. It's a little gem with a huge voice! Would have paid full price for this CMS but 50% off is even better. A fantastic, analogue synth and a great companion to the Novation Circuit. List price maybe a bit steep but watch out for campaigns. Amazing product. Well built. Sounds awesome and the user interface is very intuitive (as usual with Novation products). Firmware updates adds a ton of new features. 10/10 would buy again! The sequencer is fun and versatile and the sound of the circuit monostation is great. I like that the sound parameters can be automated and I can program different sound per patch. I own the circuit and one circuit mono-station already, but took opportunity of offer to get another one. One is use for analog drum sequence and another for lead. I sync all 3 circuits with just 1/8 inch audio cables for midi. Thru mode on the monostation is great. If there is same offer for peak or bassstation 2, may be tempted to add them in the future! 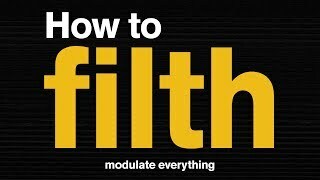 Excellent mono synth for bass and leads. The mod matrix is amazing as is the sequencer. Highly recommended. Great. I like it a lot. I'm very excited about this. I can't give it 5 stars *yet* because I'm not sure if I even know what to expect from it. The Circuit Mono Station is really cool. It’s a high end analog mono synth, mixed with the brilliant sequencing and control that Novation developed for the Circuit. It’s a great combination that I know will occupy a unique place in my studio. Very strong quality build, as well—I’m impressed. Amazing piece of gear can’t wait to get this into new and interesting gear combinations.